1-800-752-6200 (For suspected elder mistreatment in the home or in long term care facilities). 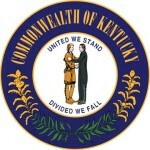 1-800-372-2973 (To reach the Long Term Care Ombudsman Program calling within Kentucky). 1-800-372-2991 (To reach the Long Term Care Ombudsman Program calling from out of state). 1-800-627-4702 (For TTY access to the Long Term Care Ombudsman Program). 1-800-200-3633 (To reach the Legal Helpline for Older Kentuckians). Individuals wishing to report suspected elder mistreatment may telephone the state help lines listed above, or visit the Adult Protective Services Local Office Search to contact specific county Offices of Protection and Permanency. Visit here to access the Long Term Care Ombudsman Districts Listing.